My friend Felicia invited me to see her blossoming garden in the spring of 2016. Together with her family, she moved away from their Bucharest flat and started building their dream house in Mogosoaia, 15 km from the capital. They used all possible green technologies and practices for their house, as they were in love with nature and very committed to protecting the environment. During the visit I found out that putting solar panels on a house in Romania takes more than 400 days, compared to maybe two weeks in other countries within the EU. I started digging and I discovered a legislative and administrative chaos that was blocking the energy transition in Romania. This motivated me to take an European trip, passing through Austria, Germany and the Netherlands, to discover the best energy transition practices and what could Romanians learn from the experiences of its EU neighbours. Before the 5,000+ km trip, I took a look at the state of the Romanian energy sector. I saw a lot of coal use, plans for building two new nuclear reactors and pushing hydropower as the big green efforts of the Romanian authorities. As for the solar and wind energy, the green certificates scheme was stuck. As big energy consuming industries were getting more exemptions from buying green certificates to compensate their pollution, less and less renewable energy producers could sell their certificates. Discussions about the feed-in-tariff for clean energy producers were in their infancy, while coal plants were still heavily subsidized by the state. On the first day of this two-week trip, I met with Cornelia from the Austrian startup Dach Gold (Gold Roofs in English). During our discussion, she outlined a very important and new principle for me: we have to produce clean energy where it is also consumed. Cornelia was trying to promote her 1001 roofs initiative, a local energy concept. Her idea is to convince as many small and medium companies to put solar panels on their roof and show that green roofs can make a big difference. In the first year of the project, 60 companies enrolled and more were willing to join the program. Despite its thirteen different grant models for green energy production, Cornelia doesn’t think that Austria is a model for energy transition. One of the richest 50 companies in the world is Austrian OMV, an oil and gas company. This says a lot about the energy policies in the country. Adam Pawloff, Greenpeace Austria campaigner, told me that on a market where we would take into account the true cost of the fossil fuels, we wouldn’t need subsidies for renewables, but clean energy would be the cheaper option anyway. Green energy is part of the Viennese lifestyle. The law imposes that new buildings incorporate green energy and other clean technologies. The most sustainable building in Vienna is a block of 43 flats on Krakauer Strasse, with lots of shared space, such as hallways, playrooms and a library. The 100 tenants love living here because the building is low-energy and they feel good about not wasting resources. Cornelia Daniel works with the Austrian startup Dach Gold. Adam Pawloff, Greenpeace Austria campaigner. I left Vienna feeling that the Austrians are more open to embrace the energy of the future than Romanians, but the transition there is far from taking place at the right pace. As the oldest renewable energy association in the country, PV Austria, put it: “it’s good that you came to Austria, but you should go to Germany. When you start seeing a lot of solar panels, you know you have arrived in Germany.” So we did. We first went to Aachen, the most western city in Germany. This small and pretty town crossed by the Wurm, and known for having the biggest Cathedral north of the Alps, feels like a real open air museum. The harmonious city is studded with anti-nuclear posters. Even the oldest bookstore in Aachen displays a 10 metre banner on its building that reads: “Tihange Abschalten!” (“Shut down Tihange” in English). The Tihange nuclear power plant in Belgium is two hours away by car and the micro-fissures discovered there make everyone very anxious. Wolf van Fabeck tested solar energy in his kitchen 30 years ago. Hans-Josef Fell is the mastermind of the Renewable Energy Act in Germany. In Aachen, I met with Wolf von Fabeck, a retired military man, who tested solar energy in his kitchen 30 years ago. He connected a small solar panel to his kitchen robot and was amazed when the robot started working. He then thought this was the future of the planet and founded the Association for the Promotion of Solar Energy that he still leads today. One of the main things he came up with was to encourage people to use solar energy with a fixed tariff. This is the “Aachen model” that later became the feed-in-tariff, the tool that started the solar boom all over the world. That was 1990. Hans-Josef Fell’s garden in Hammelburg. Erneuerbare-Energien-Gesetz (EEG) / Renewable Energy Law saw the light of day in 2000 and is the document that includes the feed-in-tariff at the national level. The initiator, Hans-Josef Fell, became interested in clean energy after the oil crisis in the ’70s. 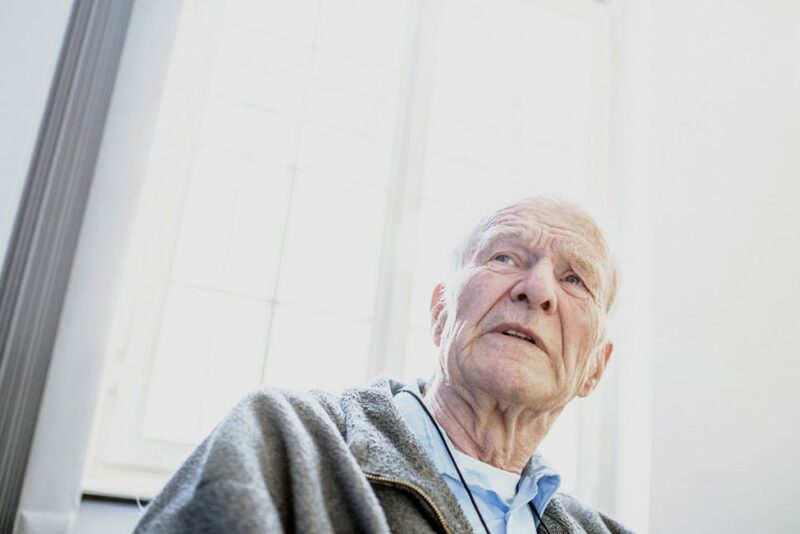 I met him at his house in Hammelburg, a small town in Bavaria, where all the houses seem to be made of gingerbread, but instead of a sweet roof, most of them actually have solar roofs. Hans-Josef Fell studied physics, where he learned that the sun provides us with 10,000 times more solar energy than we need. He told me that this made him wonder why people were not use this energy and made it his mission to make solar energy accessible. 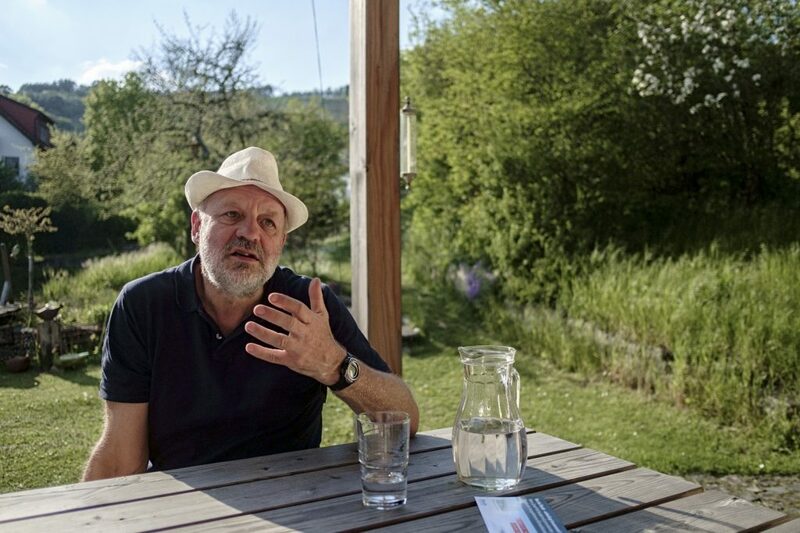 His house in Hammelburg has one of the first solar installations ever made in Germany. It is from 1991 and proof that solar panels are still working even after 20 years. His house is now 100% powered by solar energy and many of his neighbours followed his example. Hans-Josef Fell started as a municipal advisor and fought in Parliament for the renewable energies law. His main objective for 2010 was to double solar energy from 6% to 12% of Germany’s energy production. Solar energy production reached 17%, which shows that when the legislative context exists, the citizens and the companies will follow suit. I asked him if Germany was a model for the world. “It is. Actually it was,” he said. Germany is a model for both how to make solar energy great and how to destroy it. The nuclear and fossil lobby is strong and there hasn’t been any ambitious political decision to turn away from these energy sources. 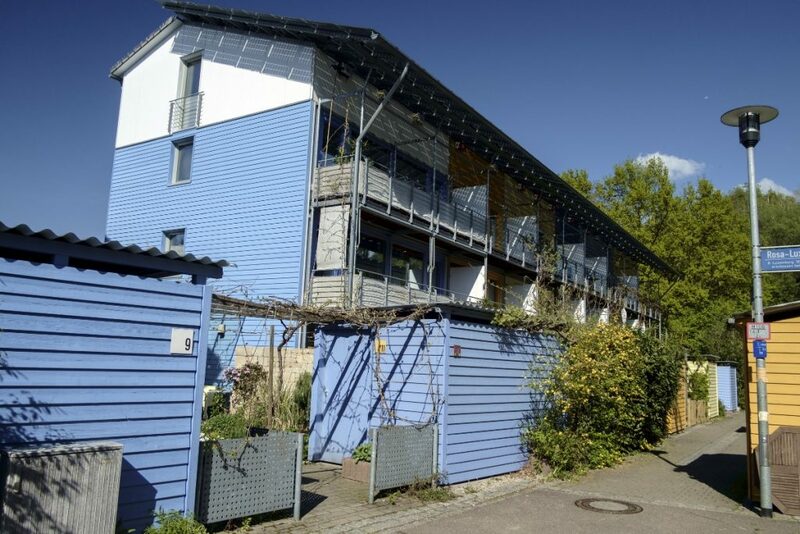 The Solar Settlement project, in Freiburg. 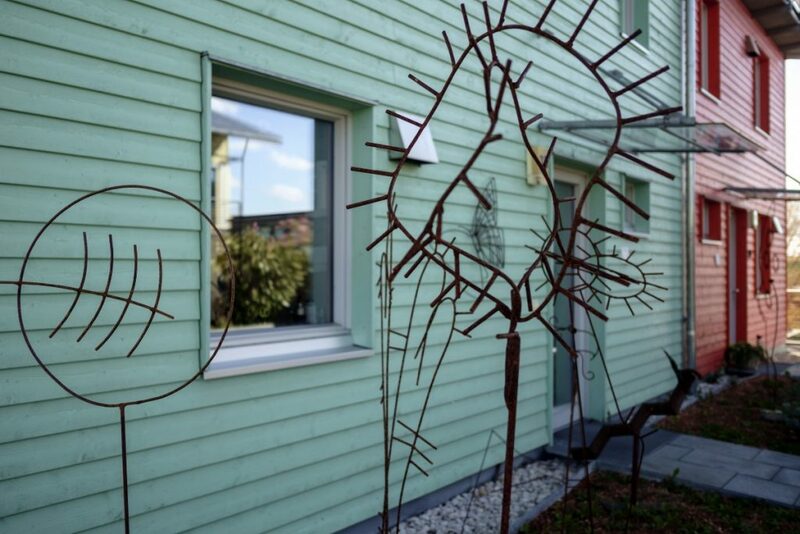 The last stop I made in Germany was in Freiburg, the home of the Solar Settlement project. I met architect Tobias Bube in his office on a sunny Friday afternoon. He is the partner of renowned architect Rolf Disch, who built the Heliotrope — the world’s first energy positive solar home. The Heliotrope stands out in the very stylish neighbourhood of Freiburg. It is a circular building, with solar panels that cover the house entirely and rotate to track the sun and harness maximum solar power. Rolf Disch has lived in the Heliotrope since 1994, when it was built. And he continued to build energy positive houses. 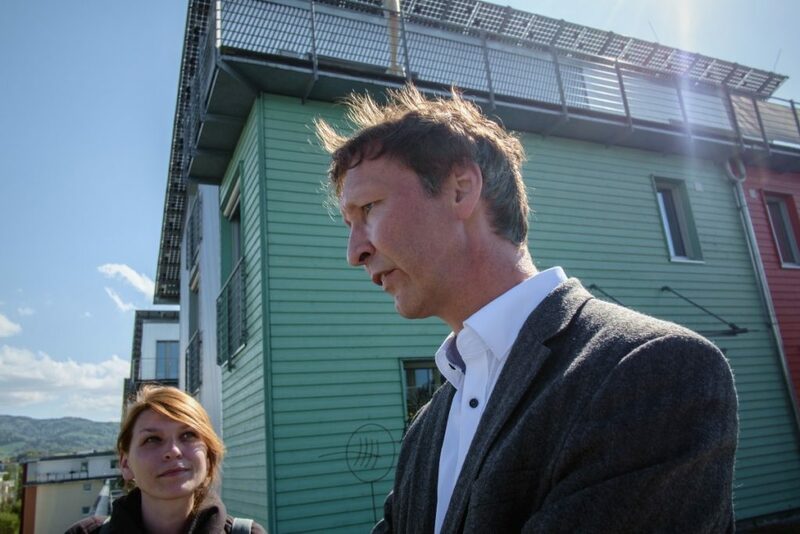 He made the Solar Settlementtogether with Tobias Bube in the 2000s, where in the last 15 years, the 50 houses have proved that solar energy is the right way to go. The Solar Settlement is in the Vauban neighborhood, where the army shacks were during the French occupation. Today, the neighbourhood is occupied by the ecologists. The philosophy behind the Solar Settlement starts with energy savings. Then comes the green technology. All the houses are 100% solar powered. Their buying cost is 10% higher than that of a conventional house, but the heating and electricity bills are 90% lower than those of a conventional house. Projects like the Solar Settlement are not easy to build anymore. The solar business is more challenging these days, says Tobias. “Is Germany a model?,” I asked. “It used to be, now California is the model”, the architect said. We arrived in Amsterdam on a sunny day, enjoying Café De Ceuvel, a sustainable experiment in the North of Amsterdam. A group of young professionals restored a polluted old shipyard, transforming it into a cool office building consisting of 17 restored boats and a café. The place is a playground for ecologists who experiment with everything from plants that clean the soil to producing energy from waste. Of course, all the boats are covered with solar panels. 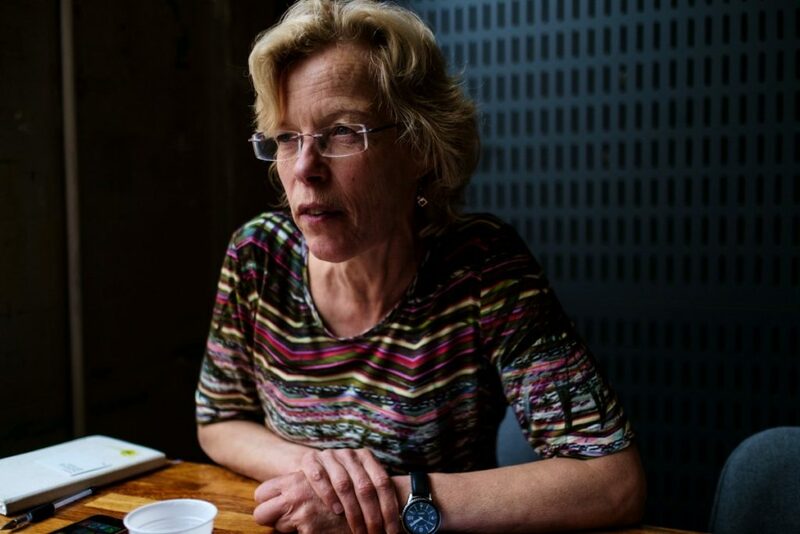 Anne Karsten Froukje is part of the 25 people team at the city hall in Amsterdam that deal with making green energy accessible for everybody. 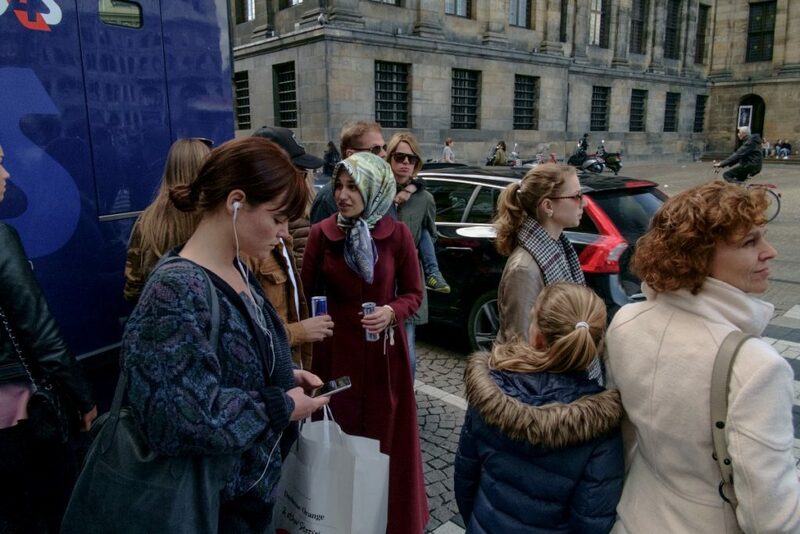 After the green introduction to Amsterdam, we met Anne Karsten Froukje from the City Hall of Amsterdam. She is one of the 25-people team that only wants renewable energies to power the city. Anne confirmed what we knew from Bucharest. In the Netherlands it is quite easy to install solar panels on rooftops and get some money back for the extra energy you deliver in the grid. It took her only three weeks between the moment she decided to install PV panels on her own roof, to the moment they were up and running. When we visited Amsterdam, in the spring of 2016, the solar power installed capacity of the city was already 30 MW, but the municipality had a target of 1,000 MW by 2040. They have already identified suitable roofs that could provide 1,300 MW of solar power, so the target is feasible. Not only that, but the city hall hired consultants who visit people’s houses and give them advice on energy saving and solar energy. “We always ask ourselves how we can make things easier for people,” says Anne. The things I first heard about while in the Netherlands were the solar cooperatives. In Amsterdam, there are five or six cooperatives that put together people who wanted to invest in solar energy. The reason for them to join the cooperative is that they either don’t have enough money to buy their own a solar panel installation, or they don’t have a suitable roof. Still, these are people who absolutely want to take part in this energy transition. So they make solar cooperatives where they invest in a solar panel installation, thus contributing to clean energy production while making some money out of it. Noortje van Kleef founded one of the five solar cooperatives that are shining in Amsterdam. Noortje van Kleef founded a solar energy cooperative because she wanted to invest in solar energy but didn’t have a suitable roof. There are 60 people in her cooperative who are motivated by being part of a green movement, and by earning money. They put a PV system on the roof of a supermarket in the neighbourhood and they will get back their investment in 10 to 12 years. 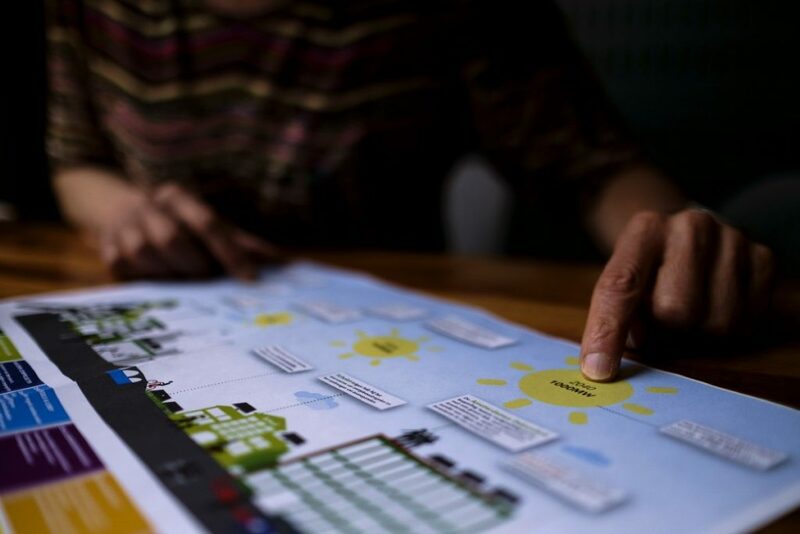 Noortje now wants to build a community of over 600 investors in green energy. 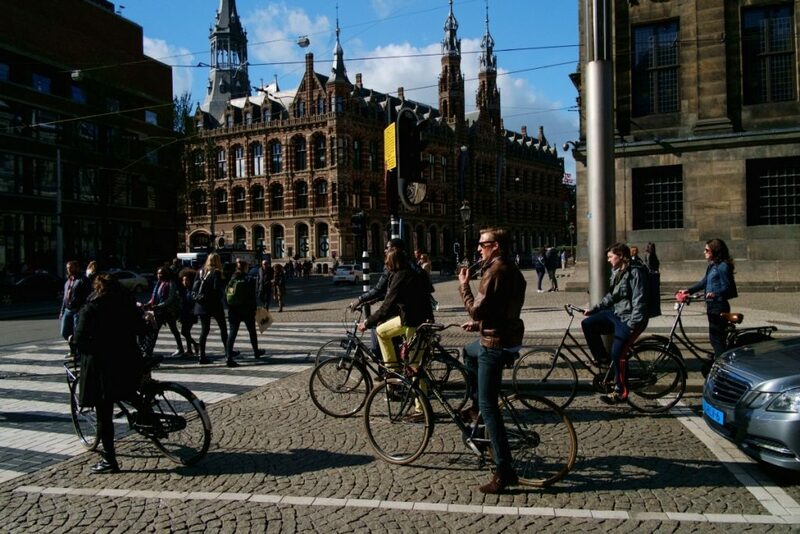 The Netherlands is also where citizens sued the state for failing to reach the target for emission reduction. In 2015, a Dutch court decided that the state didn’t do enough to protect its citizens from climate change, and that was an historic verdict. I told Dennis van Berkel from Urgenda, the NGO that was involved in the lawsuit, that the Netherlands looked like a green country from Bucharest. But he says this is mostly marketing, because even if there is a lot of green innovations going on in the Netherlands, the politicians are not ambitious enough and a lot of these innovations are not put to use. The target for emission reduction was 16% in 2014, and it even decreased to 14% in 2016. I returned to Bucharest feeling optimistic about the possibilities that lie ahead of us. 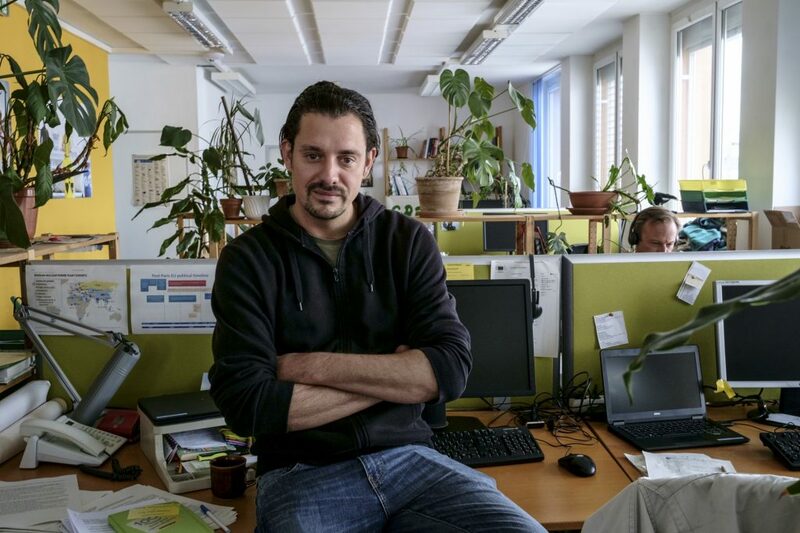 Then I met Lucian Popescu, the first Romanian who connected his home PV system to the grid. It took him three years and thousands of euros. That happened in 2012. Things haven’t changed much since then, Lucian says, because there is no political will or vision on the topic. The Romanian authorities still praise the coal for our grid stability and security. The energy transition is mostly in the hands of NGOs and professional groups who pushed for green legislation. 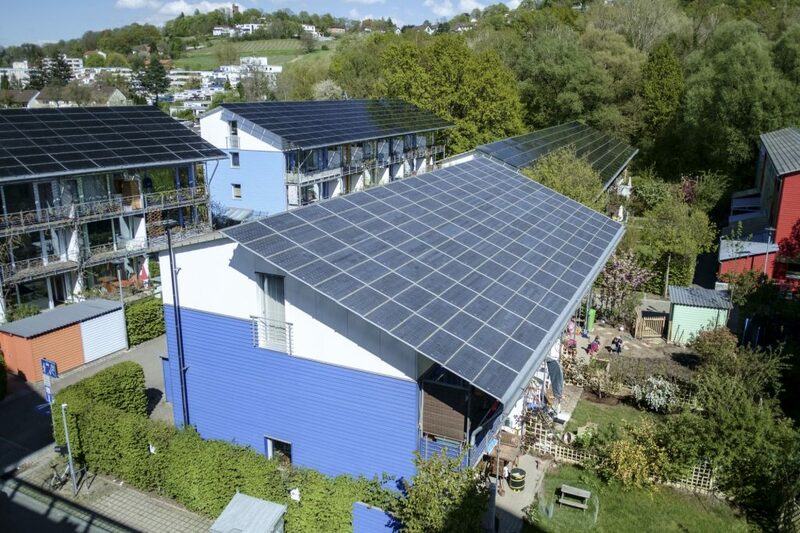 After years of delays, the law that acknowledges prosumers and provides a feed-in-tariff for people who connect their PV system to the grid finally received the Parliament’s vote in June 2018. But there’s a long way to go until we see the roofs shining in Bucharest.